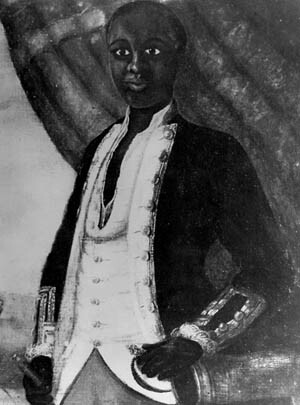 Seymour entered into the war as a slave owned by the brother of Aaron Burr. By the end of the war, he would earn his freedom. There were several African American Revolutionary War heroes that made major contributions on and off the battlefield, but not all of them fought for the Colonists. Seymour Burr was an African-American slave from Connecticut. Prior to the war, he was owned by Aaron Burr’s brother. When war broke out, the British military promised personal freedom to any slave who enlisted. According to “The Federalist Papers,” Burr attempted to enlist in the British army, but was quickly caught and returned to his owner. Burr’s brother, who was also named Seymour, gave him another option: if Burr gave him the enlistment bounty given to him by the British and served in the Continental Army instead, he’d be given his freedom by the end of the war. In April 1781, Seymour Burr elisted in the Connecticut Seventh Regiment. He fought at Bunker Hill and Fort Catskill, and endured the long, hard winter at Valley Forge. After the war, his owner kept his word and was awarded his freedom. He was given a government pension for his contributions to the revolution, and he married the daughter of a woman from the Ponkapoag tribe in 1805. Tags Aaron Burr, Africa, african american revolutionary war heroes, African-American, American, American Revolution, american revolutionary war heroes, battlefield, British, British Army, Bunker Hill, Continental Army, military, revolutionary war hero, revolutionary war heroes, Seymour Burr, Valley Forge, WIN.